Vincent Van Gogh wrote a letter discussing the possibilities in painting a bird and thinking about a cottage -- or vice versa -- so much richer than painting while thinking of only the one subject. And I took it as an assignment. 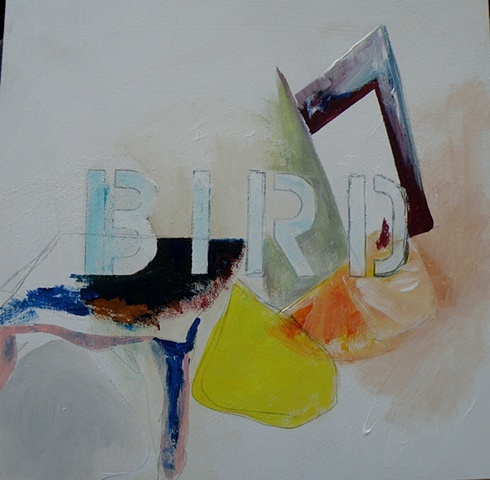 This painting is both about "BIRD," the stencilled word, and my memory of a long-ago visit to Jane Austen's cottage and the small room where she wrote.